Being an actress can be the most lucrative profession in the world, especially if it’s a Hollywood – based actress. There are so many that made a fortune by acting, and some of these actress keep on earning money, but in the same time, there are new in the world of this money – making industry that get to have their piece of the cake. In a world full of actresses, not everyone can earn millions of dollars. As every year, Forbes came up with a list of ten highest paid actresses in 2016. Some of them are for the first time here, others were already on the list. Wondering who has the first place? Scroll along. Julie Bowen comes the last on this list with $10 million! The 46-year-old star is now mostly famous for her role in the ABC sitcom Modern Family as Claire Dunphy. Considering the fact that Modern Family is one of the most popular sitcoms at the moment, it’s no wonder why her salary got so high! Julie Bowen isn’t famous just for being Claire Dunphy – she is also known as Carol Vessey in Ed (2000-04), Denise Bauer on Boston Legal (2005–07) and Sarah Shephard on Lost (2005–07), among many movie roles. However, it’s Modern Family that brought her to six Emmy Award nominations, of which she won two Primetime Emmy Award for Outstanding Supporting Actress in a Comedy Series, one in 2011 and the other in 2012. The 50-year-old star comes the 9th with $10.5 million. Julianna Marguiles achieved huge success for her role as Carol Hathaway on NBC’s medical drama ER and as Alicia Florrick in CBS’s Good Wife. During her career, Julianna Marguiles appeared in movies as well, but it was her acting in tv shows that lead her to winning the Primetime Emmy Award for Outstanding Lead Actress in a Drama Series award twice, one Golden Globe Award and a Television Critics Association Award. She was also presented as “100 Most Influential People in the World” by TIME magazine in 2015 and has her own Hollywood Walk of Fame Star. The Miss World 2000 Pageant and one of the India’s most popular actresses, Priyanka Chopra comes the 8th on the list with the total amount of earned $11 million dollars. She is known for her roles in many top – grossing Indian movies, such as Krrish and Don, but recently we have the pleasure of seeing her as the main character in the American thriller tv – show Quantico, where she acts as Alex Parrish. This gorgeous 34-year-old Priyanka Chopra has received so many awards in her lifetime, starting from awards from the industry, such as one National Film Award and five Filmfare Awards, and even Padma Shri, which is the fourth highest civilian award, given by the Government of India. Mostly known as Kate Beckett from the New York Police Department in the series Castle, the 38-year-old Canadian Actress is on the 7th spot on this list with having $12 million dollars in her pocket! She appeared in other movies and tv series, but it was Castle that brought her three People’s Choice Award, TV Guide Magazine’s Fan Favorites Awards and PRISM Award. However, unfortunately we won’t see Stana Katic as inspector Kate Beckett because this year Castle is canceled after eight season. Hopefully, we would see Katic in other series soon! Known as Olivia Pope in ABC’s drama Scandal, Kerry Washington is considered to be the sixth highest paid actress with $13.5 million dollars. The 39-year-old actress also appeared in many movies that contributed to her success, such as Ray (2004), The Last King of Scotland (2006), Fantastic Four (both 2005 and 2007) and Django Unchained (2012), among many others. Her successful acting not only made her that rich, but it also helped her to achieve so many nominations and awards, such as Black Reel Award for Outstanding Actress in Drama, NAACP Image Award for Outstanding Supporting Actress in a Motion Picture, among others. 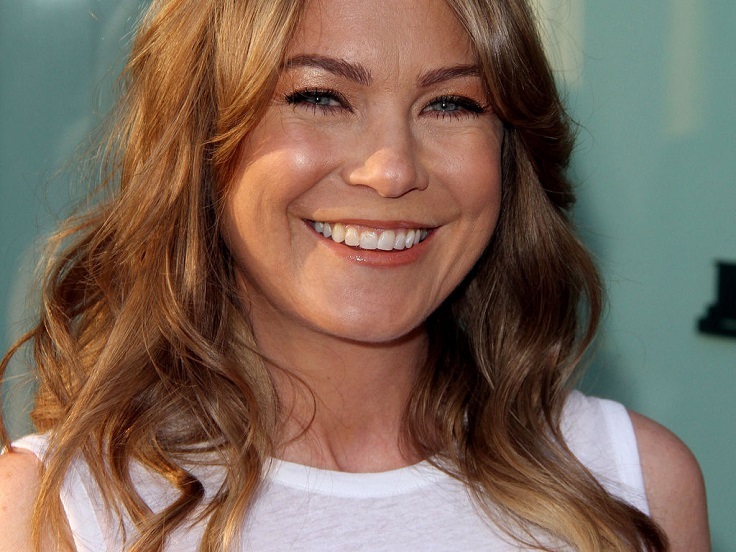 Mostly known for her role as Dr. Meredith Grey in ABC’s medical drama Grey’s Anatamy, Ellen Pompeo is on Forbes list of highest paid actresses with having earned $14.5 millions during the last year. Thanks to the popularity of the show that runs from 2005, Ellen Pompeo also won few awards during her acting career, such as three People’s Choice Awards for Favorite Dramatic TV Actress, Taormina Arte Award and Satellite Award. Those who have watched Law&Order: Special Victim Unit, know who Mariska Hargitay really is – Olivia Benson from NYPD. The 52-year-old actress earns about $400.000-$500.000 per episode, so it’s no wonder how she got to the fourth place of the Forbes list of highest – paid actresses of 2016. The amount of money that gave her this place is $14.5 million! This role made her rich and helped her to win some very important awards, such as Golden Globe Award for Best Performance by an Actress in a Television Series – Drama and Emmy Award for Outstanding Lead Actress in a Drama Series. Mindy Kaling isn’t just an actress, she’s a produces, director, comedian and writer. All these roles helped her to earn $15 million and thanks to that she is the third highest paid actress for 2016, according to Forbes. Mindy is the creator and the star of the sitcom The Mindy Project and for her role in The Office, for which she also worker as writer, producer and director. Mindy Kaling has many nominations for her work, of which she won few such as Gracie Producer for Outstanding Producer – Entertainment and Critic’s Choice Television Awards for Most Exiting New Series. Kaley Cuoco is the second actress on the list, with having earned $24.5 million in a year! She is mostly known for her role as Penny in CBS sitcom The Big Bang Theory, and starting from August 2014 Cuoco and her co-stars from the show earn $1 million per episode. Kaley Cuoco also appeared in many movies, such as The Wedding Ringer (2015), Authors Anonymous (2014) and To Be Fat Like Me (2007), among others. During her career, the 30-year-old actress has won four awards, among which are Teen Choice Award for Choice TV Breakout Star: Female and Satellite Award for Best Actress in Television Series Musical or Comedy. And the first place goes to the beautiful Colombian actress, the one and only Sofia Vergara. She comes the first with $43 million! That is quite a lot, and the truth is that most of these money Vergara didn’t get from acting, but from lucrative collaborations with companies such Head and Shoulders. This is Vergara’s second time to be on the first place of highest paid actresses by Forbes, she was the first last year as well with $28.5 million. Even though we love her so much for her role as Gloria Delgado – Pritchett in Modern Family, the 44-year-old gorgeous Sofia Vergara knows business just as much as acting! Ovaj model mi je savršen a i manekenka prekrasno izgleda. Mariška, isto tako poznata u krim. serijama. Odlično izgleda, ali slika mi odaje ovu glumicu iz mlađih dana. No to nije upitno,Savršena. Super izgleda Sofija Vergara, njegovana, i to je to.